Snohetta’s intention for the revamped CPW skyline viewed from south east. 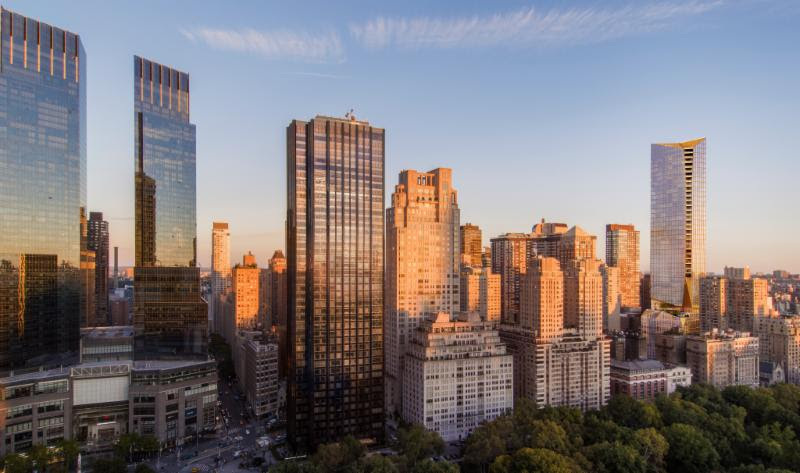 This afternoon, news hit confirming our expectations that a supertall is planned for the mid-block of West 66th Street. LW! has been following this for years, and was cautious when the developer filed for a 25-story building on the site of the former Congregation Habonim and adjacent property. 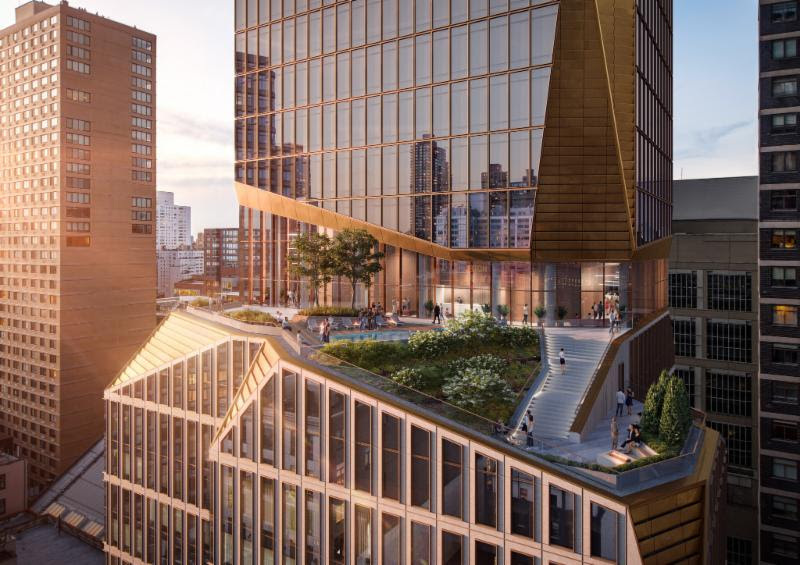 Architect Snohetta has now revealed their aim for 50 West 66th Street. 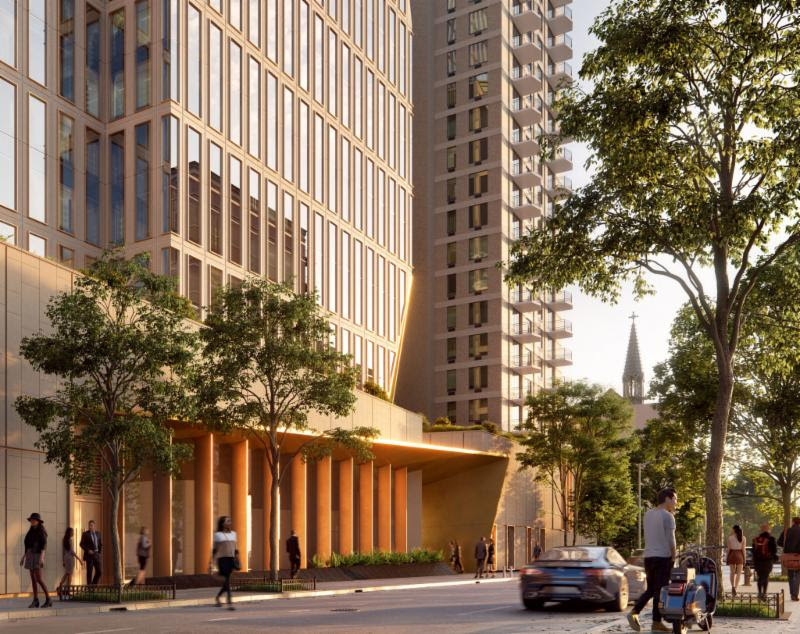 As designed, the still-unfiled project plans 127 condos and will rise 775 feet, far eclipsing 200 Amsterdam Avenue to become the tallest building on the Upper West Side. Thus far, the development is proclaimed to be as-of-right, which means it seeks no special administrative actions, and can be built without Community Board input. LANDMARK WEST! and our colleagues have been strong advocates of closing egregious zoning loopholes–several of which are at play in this development. These are issues that affect not only our neighborhood but are felt city-wide. 65th Street Street entrance with Synagogue. 16th floor Terrace at set-back of proposed tower. We are not caught off-guard, having analyzed this at length. We will review their specific plans once filed to ensure that they comply with the Special Lincoln Square District zoning. UPDATE: And read further coverage in the NEW YORK TIMES. Please stay tuned to our watch blog for updates and remember us on GIVING TUESDAY so that we can continue to fight the good fight.